Winning the Premier League title is no easy feat. Not that Liverpool fans needed reminding of that, considering their inability to win the trophy since the league's revamping. But, after a draw at the London Stadium against West Ham on Monday night let Manchester City reclaim top spot for the first time since Christmas, plenty of stats have been bounding about. So, here's another potentially relevant one, per Opta - the three longest stints at the top of the Premier League table in a single season without winning the trophy. The saying 'No pain, no gain' has never been truer when applied to ​Manchester United in 1998. 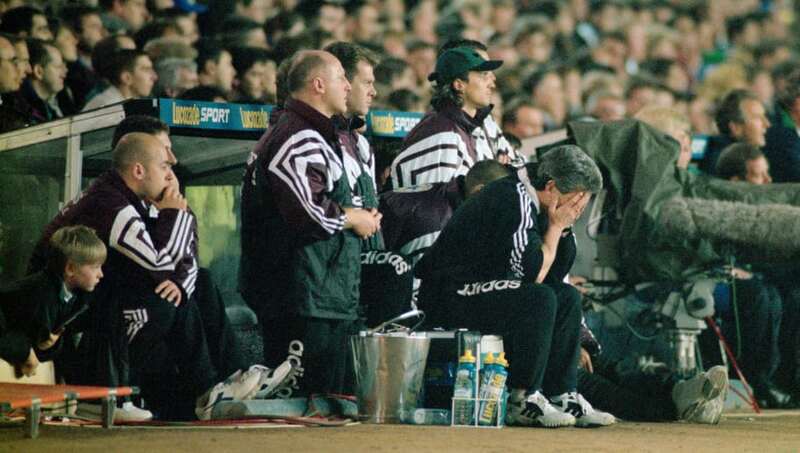 The 97/98 campaign was as disastrous as it could get, as they were pipped by Arsenal right at the death in the league, thanks to a ten-game winning streak from the Gunners in the last two months of the season. They were also eliminated by an unfancied Barnsley side in the FA Cup, and knocked out of the Champions League by Monaco. What did they gain, then, for all this pain? Well a historic Treble the following year. After starting the back half of the season as favourites to retain their ​Premier League crown after accruing a healthy lead, the ​north Londoners faltered in the final months - first allowing United to join them at the top following a draw at Aston Villa, then taking it out of their own hands with another stalemate at Bolton, before a loss at Leeds ended their hopes altogether. Still, they did retain the FA Cup. "I've kept really quiet but I'll tell you something, he went down in my estimations when he said that. We have not resorted to that. You can tell him now, we're still fighting for this title and he's got to go to Middlesbrough and get something. "And I'll tell you, honestly, I will love it if we beat them. Love it." Yep, at number one, it's only Kevin Keegan's ​Newcastle United. Their lead stretched to 12 points at one point. But then Sir Alex Ferguson's side came charging, and Fergie hit Keegan with some grade a mind games, and before you knew it they were four points behind and trophyless. 212 days. That really is tough to take. Still, got a legendary quote out of it, so...worth it?